The book Nikola Tesla (1856-1943) � Lectures, Patents, Articles, now out of print, is the first major reference work published by the Nikola Tesla Museum in Beograd about the inventor. 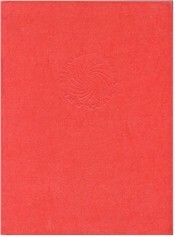 The edition appeared in 1956 and the book was subsequently reprinted in 1991. It contains the text of four lectures delivered by Tesla during the period between 1888 and 1893 plus one delivered in absentia in 1898. As for patents, the book contains only those granted to Tesla in the United States; the compilers chose to include only 99 of the 112 patents actually issued to him. Additionally there are 17 scientific and technical articles written between 1891 and 1920, 7 articles of a general nature written between 1897 and 1917, and an autobiographical article from 1915. These articles plus many more are included in the forthcoming books Collected Articles of Nikola Tesla, Volume 1, Volume 2 and Volume 3. Tesla's lecture "High Frequency Oscillators for Electro-Therapeutic and Other Purposes" (delivered before the American Electro-Therapeutic Association, Buffalo, September 13, 1898) and the philosophical writing The Problem of Increasing Human Energy (The Century Illustrated Monthly Magazine, June 1900) are each available as stand-alone pieces. This is one of the first reference works to come out of Belgrade following the arrival there of Tesla's inheritance in 1952. Here is a wealth of information in the form of documents drawn from the Nikola Tesla Museum archive, compiled into a single large volume. Included are the text of 5 lectures delivered between 1888 and 1898, 99 of Tesla's 112 U.S. Patents, 17 scientific and technical articles written between 1891 and 1920, 7 articles of a general nature written between 1897 and 1917, and an autobiographical article from 1915. Nikola Tesla was born at Smiljan, Province of Lika, in Yugoslavia on July 10, 1856. From 1862 to 1874 he attended elementary and lower secondary school at Smiljan and Gospic, and high secondary one at Karlovac. From 1875 to 1878 he attended the Advanced Technical School at Graz and finished his studies at the University of Prague in 1880. From the year 1876, when a student in Graz, Tesla was interested in the construction of a motor without commutator. In February 1882, in Budapest, he discovered the principle of the rotating magnetic field. In 1883, at Strasbourg, he made the first models of induction motors. The following year, Tesla left for the United States of America where he worked in Edison Laboratory for a short period of time; later, in 1885, he founded the enterprise "Tesla Arc Light Company" in New York. After founding the enterprise "Tesla Electric Company" in 1887, Tesla was able to obtain the necessary financial and material resources that were needed for the realization of his invention of the polyphase system of the transmission of power and for induction motors of highgrade efficiency. After taking out the original patents for the asynchronous motor and the polyphase system for the transmission of electric power on October 12, 1887, Tesla took out a further series of 40 patents within the same field from 1887 to 1891. Tesla's polyphase system of power transmission was applied in 1891 at the hydroelectric power station at the Niagara Falls, the first three aggregates of which began to operate in 1896 with a total amount of 15,000 horsepower. In the second half of 1890, Tesla started to work in the field of high frequency currents by building machine generators with a frequency of up to approximately 30 kc/s. In 1891 he invented a transformer for the production of currents of high frequency and of high tension, which later became known as "The Tesla transformer". Tesla explained the results achieved in the field of high frequency currents in his famous lectures which were held in the period between 1891 and 1893. Work in this field was interrupted temporarily owing to a fire in Tesla's laboratory on March 13, 1895. In the spring of 1898, Tesla constructed a radio-guided ship model, and, on July 1, 1898, he took out a patent dealing with the remote control by radio of moving vessels and vehicles. By this invention, he laid the basis for wireless telemechanics. He displayed the results of his work in the article entitled "The Problem of Increasing Human Energy", published in June 1900. Sorbonne (Paris), Columbia, Vienna, Prague, Beograd, Zagreb, Yale, Nebraska, Grenoble, Brno, Bucharest, Graz, Poitiers, Sofia, etc. He died in New York on January 7, 1943, where he had spent the longest period of his life. The purpose of this book is to acquaint the reader with Nikola Tesla's most important works in the numerous fields of science to which he dedicated himself. Following Tesla's example, who published his inventions in lectures held at various scientific institutions, who took out numerous patents for his inventions during the course of his life, and who wrote articles in various newspapers and magazines, the book contains three parts: lectures, patents and articles. The first part of the book contains five of the most important lectures of Nikola Tesla in chronological order. Of primary importance is the classical lecture: "A New System of Alternate Current Motors and Transformers", held at The American Institute of Electrical Engineers, on May 16, 1888, in which Tesla explained the principle of his famous induction motor. Other important lectures herein included are: "Experiments with Alternate Currents of very High-Frequency and their Application to Methods of Artificial Illumination", read before The American Institute of Electrical Engineers on May 20, 1891; "Experiments with Alternate Currents of High Potential and High Frequency" delivered before The Institute of Electrical Engineers and at The Royal Institute in London, as well as at The International Association of Electricians in Paris, on February 3, 4 and 19, 1892 respectively; "On Light and other High-Frequency Phenomena', held at The Franklin Institute in Philadelphia on February 24, 1893, and repeated before the American National Electric Light Association at Saint Louis in March of the same year. In these lectures, Tesla explained his achievements in the field of high frequencies and high voltages. This part of the book ends with the lecture; "High-Frequency Oscillators for Electro-therapeutic and other Purposes", held before The American Electro-Therapeutic Association at Buffalo, on September 13, 1898. The second part of the book deals with Nikola Tesla's patents, selected from the numerous patents registered at the Patent Office of the United States of America. These patents are divided into select groups, each of the groups being arranged according to the order of registration. The first group numbers 25 patents for electrical motors and generators, while the second group consists of 9 patents for electric power transmission. Then follows a group of 6 patents for the solving of certain problems of lighting; then 17 patents for controllers and high frequency apparatus and a group of 12 patents from the field of radio-technics. After listing the important patent for radio-control and a group of 5 patents for turbines and similar apparatus, this part of the book ends with a group of 11 patents for the solution of various problems in which Tesla was interested. The third part of the book, which contains a cross section of Nikola Tesla's scientific and technical articles, is also divided into select groups. Tesla's articles are given in the order of their publication. The first group consists of 17 articles dealing with Tesla's work on X-ray, Tesla's oscillator, high frequency currents, electric machines, electric discharge in tubes, and ends with an article on telephotography. The second group of this part deals with 8 articles concerning Tesla's views about the world, his opinions about the future of electricity, wherein he discussed technical as well as general problems, which are of interest for humanity. This part ends with Tesla's own biographical sketch. A lecture delivered before the Franklin Institute, Philadelphia, February 1893, and before the National Electric Light Association, St. Louis, March, 1893. A lecture delivered before the American Electro-Therapeutic Association, Buffalo, September 13, 1898.